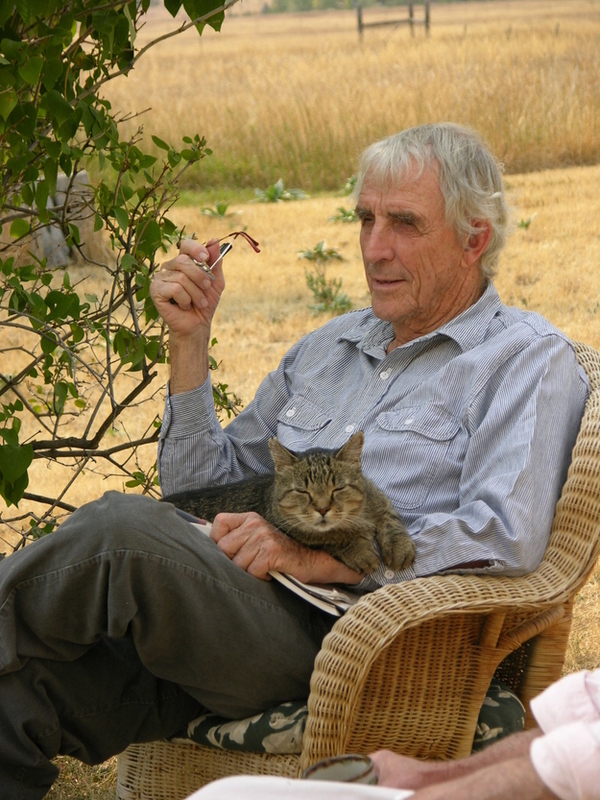 Here is the late writer Peter Matthiessen with a cat. 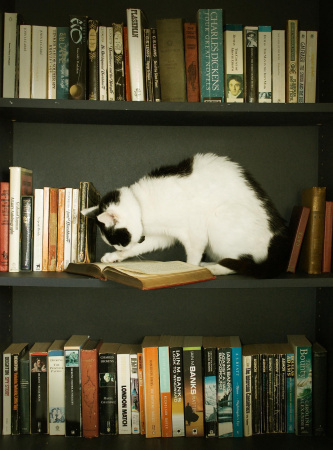 And a feline doing research. After an easy December with little snow, New Englanders were hit with three big snowstorms in a row at the end of January. And 6-10 more inches are predicted for tomorrow, at least in southern Maine. I’m still digging out and neatening up the walkways. Thank goodness for the library. I recently read two notably good books: THE ROUND HOUSE by Louise Erdrich and THE ASSASSINATION OF MARGARET THATCHER, a collection of stories by Hilary Mantel. Erdrich’s novels are always rewarding, rich with native American wisdom, family history and humor. I really liked Mantel’s twisted, often dark stories. I want to read her WOLF HALL and sequels. Consolations during this frigid, trying time of year include a fireplace, comfort food like mashed potatoes, stew and homemade bread, email with faraway friends, my cats and dog, “Downton Abbey” and other good things on TV, but most of all, books. I hope you have a big pile of them at your house. Posted in Uncategorized and tagged animals, books, cats, cocooning, comfort food, dog, Downton Abbey, Hilary mantel, library, Louise Erdrich, Peter Matthiessen, snow, The Assassination of Margaret Thatcher, The Round House, winter, Wolf Hall. Bookmark the permalink.